Pneumatic tools are powered by compressed air, and they have a wide variety of applications. Here is your ultimate guide to air tool types, use and maintenance. According to research, DIY projects account for 38% of all home improvement efforts performed annually. Why are so many people trusting themselves to tackle such efforts as demolition, remodeling, dry-walling and more? Put simply, tools have come a long way. The same research reveals that American homeowners tackled 43 million home projects themselves from 2015 to 2017. When asked why they decided to do so, 73% said they felt confident in the resources at their disposal. Are you considering doing some work around the house? If so, an air tool is a valuable component in your arsenal. Think you’re limited to those oversized jackhammers you see road workers using to drill holes in the street? Today’s air tools, or pneumatic tools, are more compact, handy and versatile than ever before. Today, we’re sharing a few different types and explaining how to use them. Before we delve into the myriad kinds of air tools available, let’s discuss why you might want to reach for one when it’s time to start your next home project. First, they’re as useful and practical as the more traditional items you already have in your toolkit. The main difference? Pneumatic tools get their power from an attached air compressor, whereas others are battery-operated or plug into an electrical outlet. This makeup gives air tools their unique weight-to-power ratio. Compared to a tool with the same power rating, they’re more lightweight. This is because air motors or pistons weigh less than electric motors. At first, this might not sound like an important feature. Lug around a power tool for hours at a time, however, and you’ll realize how much of a difference weight can make. Now that we’ve covered a few of their best features, let’s review some of the best air tools around. When you need a project done quickly, an air-powered drill gets the job done. Though the most common type of pneumatic drill is the jackhammer, there are smaller, handheld versions designed for everyday use. These are known as air hammers or impact hammers. Look for one with an ergonomic design on the handle and lightweight, polymer housing. This way, you can use the drill for hours at a time without experiencing arm or hand fatigue caused by excessive vibrations. Most hammer barrels are made from hardened alloy steel, making them durable and long-lasting. Inside the barrel is a shank chisel that can normally deliver between 2,100 to 3,500 blows or more per minute. A hardened spring retainer holds the chisel and keeps it in place. You’ll also change the chisel through this mechanism. Look for one with a stroke length that meets your project requirements. Most are available in 2-and-5/8-inch to 3.0-inch lengths. When you operate an air hammer, make sure the chisel is always in constant contact with the work surface. Use air tool oil to keep it running and this gear will last years in your garage! Anyone who’s ever tried to sand a surface by hand knows how aggravating and time-consuming it can be. This is where a pneumatic finish sander shines. You’ll use one to improve the quality and finish of a surface before you paint it. 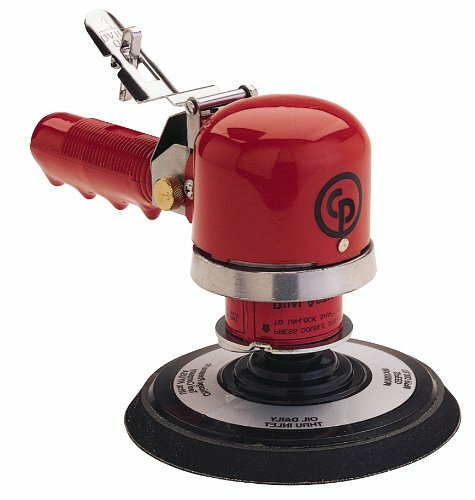 A counterweight sits atop the sander itself, oscillating in a 3/16-inch orbital stroke as you operate the tool. The result is a smooth finish that’s free of the telltale swirls associated with hand-sanding. These are often preferred over electric sanders because you can push them as hard as you need to without worrying about time-consuming and risky motor burnout. Looking for the most reliable model? Some come equipped with a built-in regulator. This allows you to adjust the speed of the sander to match the job and material without adjusting the air compressor by hand. Available pad sizes vary, though most are between five and six inches. Look for one with flexible edges that won’t harm your work surface. It will work with any sanding paper, as long as it’s PSA-backed. Most pneumatic sanders feature an RPM of between 9,000 and 10,000 though you’ll need to make sure your air compressor is appropriately rated at 4-cubic feet per minute (CFM) or higher to handle the load. The best models feature an ergonomic handle for all-day comfort. 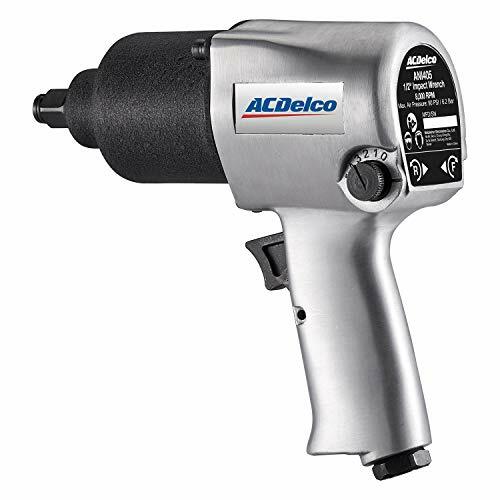 The standard pneumatic impact wrench is 1/2 an inch in size. This tool is useful when you’re assembling or removing fasteners and can be an ideal timesaver for automotive work. Why use a pneumatic model over a handheld or electric one? The force alone is worth the upgrade. As the wrench turns, it delivers extra torque, impacting the fastener with heavy blows akin to a hammer. Some models go up to 500 foot-pounds of torque or more. The best part? Most come equipped with ceramic balls inside that help to diffuse the air, aiding in quieter operation. This power is invaluable when you’re dealing with difficult or damaged fasteners and also makes it easier to remove stubborn ones that have rusted or been painted over. For versatility, look for pneumatic air wrenches with adjustable speeds so you can add or subtract from the tool’s power without changing the compressor. One note: Go ahead and buy a corresponding impact socket set when you buy your pneumatic impact wrench. If yours is a 1/2-inch model, look for one that fits that drive. This will ensure your safety as the operator, as standard sockets can be dangerous when paired with an air-powered wrench. Looking for a fastener that can be used for an impressive number of applications? You need a pneumatic staple gun. Known for their ability to handle even the toughest jobs, air-powered staple guns are ideal for furniture upholsterers, carpet installers, electricians and construction workers. Around the house, you can use one to adjust or install siding, repair small furniture and even hang pictures. 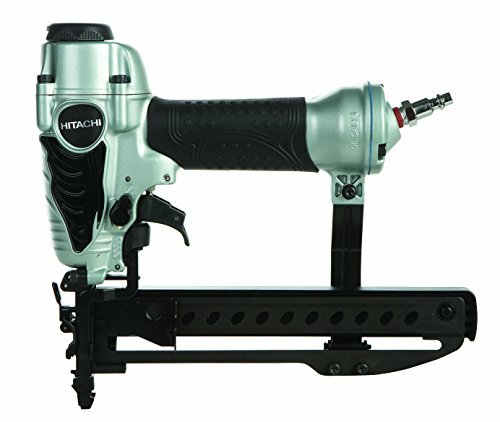 They accept a wider range of fasteners than manual or electric staplers and are also lightweight and simple to operate. Most will run on 60 to 100 pounds per square inch (psi). Pneumatic staple guns are sized between 16-gauge and 22-gauge and will accept T50 staples that are 1/4-inch to 9/16-inch in size as well as brad nails between 1/2-inch to 5/8-inch in length. You’ll refill it via the magazine, which reloads on the bottom of the tool. Remember to always disconnect your compressor before loading and reloading your staple gun. To ensure your safety, look for one that features a dual trigger. This way, you can use it all day and never worry about slipping. 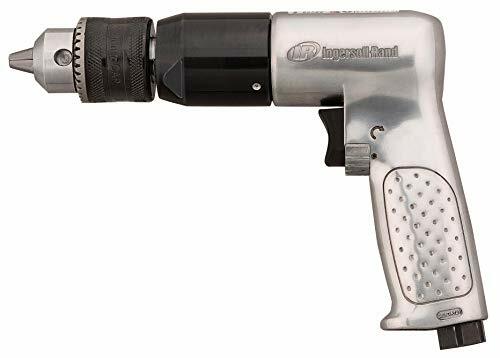 You may already have a standard grease gun in your garage or workshop. It’s used for lubrication on a variety of products. 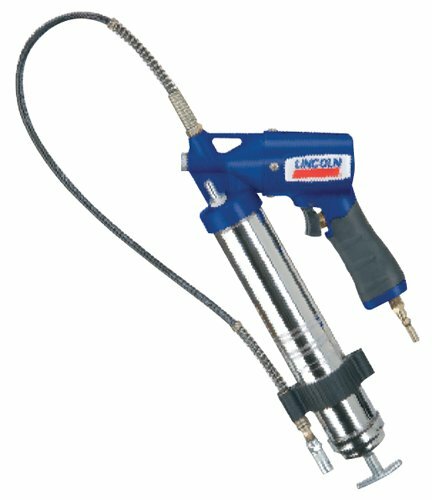 When you need to lubricate a large number of parts quickly, a pneumatic grease gun can get the job done quicker and with less fatigue. From your lawn mower and chainsaw to your car fittings, there are many places around the house that this tool can come in handy. Some of the models feature the ability to switch into a continuous delivery mode that delivers up to five ounces of grease or more per minute. However, most offer single-shot capability, delivering around 6,000 psi with an input pressure of between 60 and 120 psi from the air compressor. You’ll attach the grease gun itself to an included grease hose, most of which are around 30 inches long. Then, you’ll engage it by pulling the top trigger. Look for a model that features an in-line hose swivel, enabling you to lubricate in even the most narrow crevices. 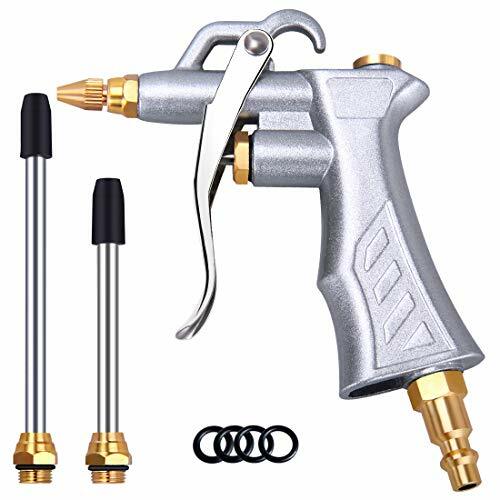 These tools feature an integrated air bleeder valve that’s essential for priming the gun and eliminating any air pockets. When it’s time to reload, tug on the T-pull to add new grease canister. When you’re first working to loosen a fastener or tighten it up one last time, you should do so by hand. Yet, sometimes space is limited along with access. An air-powered ratchet wrench is a top choice for this application. 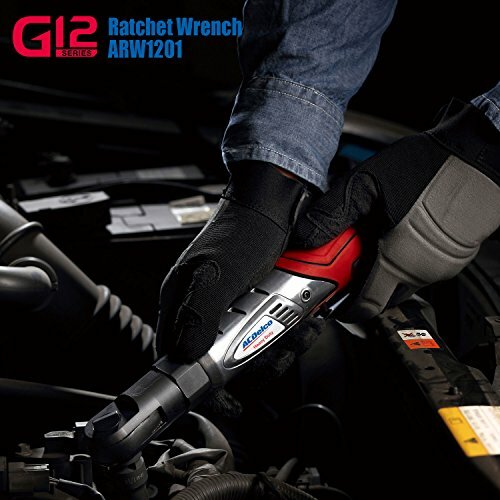 Most come equipped with a built-in power regulator that allows you to adjust the speed and power of the ratchet wrench without changing the air compressor. Most standard pneumatic models are between 3/8-inch and 1/2-inch, delivering between 50 and 130 foot-pounds of torque and between 150 and 290 RPMs. Look for impact drive sockets that correspond to your tool’s measurements. Top models are also equipped with sealed ratchet heads, which serve to keep the head from spreading, even under the most extreme load. Some models will allow the air exhaust to rotate all the way around for 360-degree control while others allow you to choose between two positions. If yours has the former design, you can direct exhaust away from where you’re working and enjoy a quieter workspace. Always use mechanic gloves when handling a ratchet wrench, as it can be difficult to maintain control if you over-tighten a fastener. For this reason, it’s also critical to make sure your air compressor is designed to withstand the CFM that an air-powered ratchet wrench requires. Look for one that has at least 3.6 standard cubic feet per minute at 90 psi. In addition to the air tools listed in detail below, you can find other pneumatic models to meet your repair and installation needs. Let’s take a look at a few. 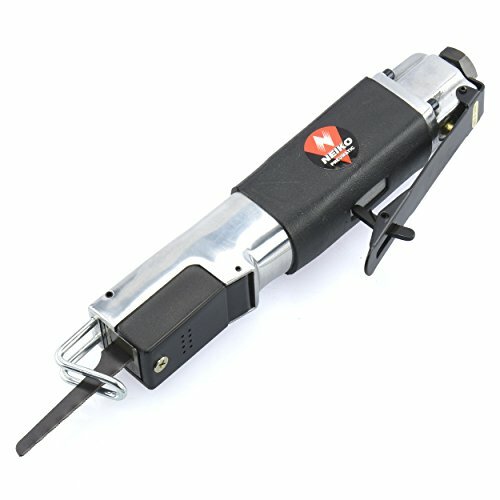 This tool is ideal for cutting sheet metal. You’ll use it to make both straight and curved cuts. Some models accept wood jigsaw blades, making it a handy tool to keep around the house for various woodworking projects. In most applications, a pneumatic body saw offers a smoother, more accurate cut and gentler handling than a traditional reciprocating saw. This is one of those tools you use more often than you might imagine. When you need to dust off a surface or dry water off it, a blowgun comes in handy. Buy one as soon as you purchase your air compressor and keep it around to use in conjunction with your other air tools. This is perhaps the most organic use for your air compressor. Hook it up and use it to inflate your car tires, bicycle tires, air mattresses or basketballs. The top models include an integrated pressure gauge, as well. On top of being more powerful, quieter and easier to navigate than some standard tools, these air tool essentials are also downright fun to use. If you’re ready to enhance your handyman abilities and tackle more work yourself around the house, any of these resources would make an excellent addition to your collection. Want more information on what to buy, what to skip, and which features to look for? We’ve made it our business to research and compare the best models available, bringing you our honest, professional advice. Regardless of what kind of tool you use, it’s important to keep it well-maintained. Check out our tips on how to use and care for your tools today! 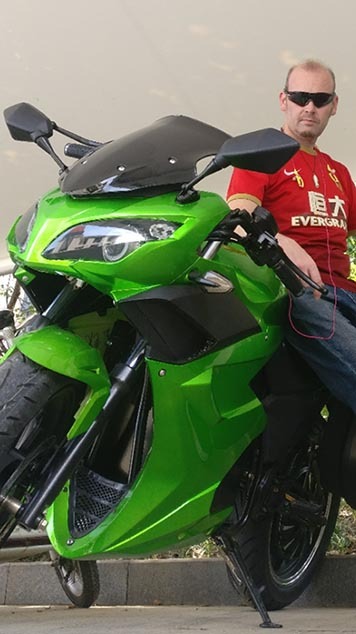 I'm the creator of WG and while I'm no tool or mechanical expert, I do have work experience in many fields and enjoy many hobbies and interests that include a variety of tools! Hopefully I have something useful for you. Enjoy! wrenchguru.com is a participant in the Amazon Services LLC Associates Program, an affiliate advertising program designed to provide a means for sites to earn advertising fees by advertising and linking to Amazon.com.